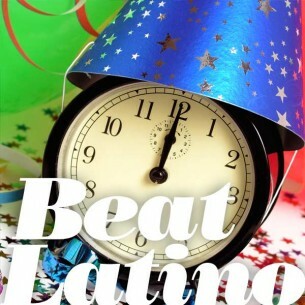 Beat Latino with Catalina Maria Johnson » A Beat Latino New Year! ¡Feliz Año Nuevo! ♪ Let’s dance 2011 bye-bye, adios! ¡Feliz, feliz, feliz Año Nuevo! I hope the New Year brings us all much peace, joy and por supuesto ♪ lots and lots of music ♫ ♫. So, say good-bye to December ranchera-style with famed Mexican composer and singer José Alfredo Jimenez, ring in a “new year, new life” with Cuban songstress Albita Rodriguez, look forward to the New Year’s first kiss with Colombian Nelson Pinedo, and many many more tunes and beats to take you happily into 2012!